Basic online selection of portable diesel generators from Kubota. 7,000 watts (7 kW) to 11,000 watts (11 kW). Diesel engines from Kubota. 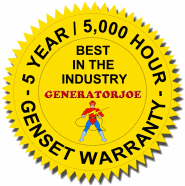 LOWEST PRICES ON KUBOTA LOW BOY GENERATORS IN THE USA. PowerPixie is the Kubota Queen!